Rachael Andrews is a new friend of mine. She blogs at Andrews Family Adoption Journey. She is so sweet and encouraging to me and her passion for fatherless is something to be emulated. Here Rachael shares how to show love to an adopting family. 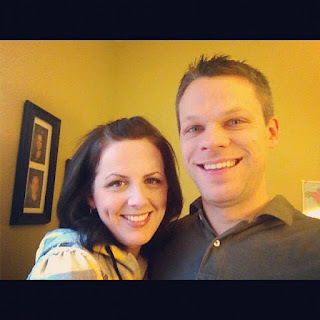 I'm Rachael and I blog over at Andrews Family Adoption Journey. I am both a new blogger and new to international adoption. We are currently three months into our adoptive process. 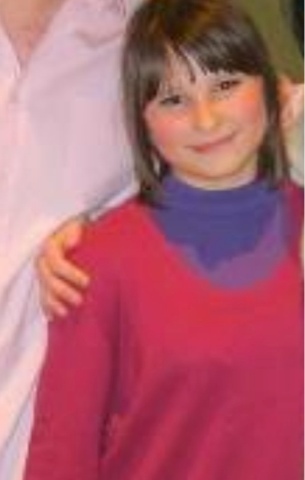 Nate and I are planning to adopt a fourteen year old girl from Ukraine. How do you love on someone in the adoptive process? There is so much involved. It's quite a wide range of emotion and to-dos in this process, and it varies day to day, so I hope I can relate efficiently and with grace as I am living in the thick of it right now! I'm not sure everyone has a complete understanding of how very invasive adoption can be. We have seen friends and relatives adopt, and thought we had an understanding. We are coming to find out that we had no idea about this process when we were on the outside. It's a lot different when you are the one knee-deep. Your whole life is invaded. Your income, your taxes, your history, your psychology, your health, your parents and children, your home is critiqued, your friends and family are questioned. It's a lot to take on and accomplish and it takes time and patience to get through, It's a process...you grow through it and we are learning that it changes you. Show your love by PRAYER. Nothing more loving can be done for an adoptive family than to bring yourself to your knees for them, for their family, for their future son or daughter. Pray for them. Many supernatural things take place on behalf of God's people because of prayer and prayer alone....and likewise many things do not take place because of lack of it. As the Word of God says, the eyes of the LORD move to and fro throughout the earth that He may strongly support those whose heart is completely His. When you seek God, his gaze meets with yours, He hears you, He considers your pleas and He offers strong support by his presence. Pray for them every time they come to mind. If you see them in person stop and pray with them. I cannot express to you what a help this is! Show your love through Encouragement. Speak to them. Write notes. E-mail them. Send random encouraging text messages. Tell them you are there. There are so many times in just the last few months that I have felt completely alone and God has used someone as an encouragement. When someone tells me they have been reading our blog, or they have been thinking and praying for our family, or they want to offer their help, I am always put to tears. Why? Because you see us. You acknowledge us. Your heart has been softened to our cause, and that of our future child. Just knowing you are there...that means more than you can imagine. Spur your friends on. 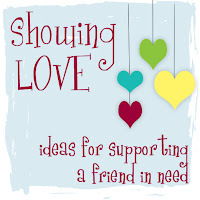 Show your love by Sharing. Bring awareness to the plight of the orphan. Bring awareness to the needs of those families who are trying their best to help them. 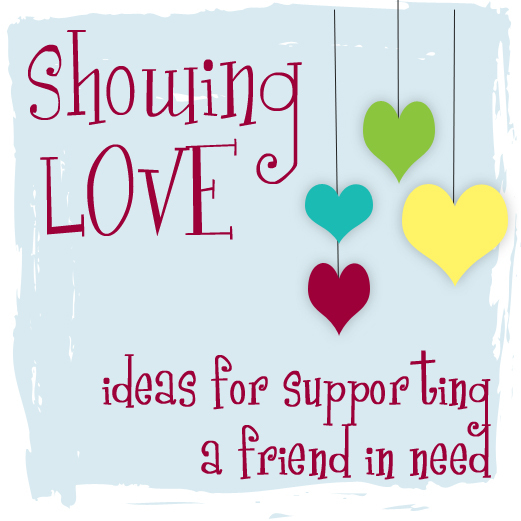 Share your friend's need with others! People cannot help if they don't know the need. Many people are out there who would love to take part in the journey of others. Help us and others in this path find the support needed for the process. Maybe God will use you to move someone else's heart to seek adoption. Even the littlest of people can do big things with the help of an amazing God and the community surrounding them. Show your love by offering financial assistance. It's sad that the number one factor deterring people from adoption is cost. Cost is huge. Not everyone is brave enough to jump off the ledge and have faith to know they will be caught. I have heard varying statistics stating that the majority of adoptive families can't afford the high cost, but they do it anyway. Most of the time, it requires a lot of extra hours of work, lots of fundraising, lots of help from family and friends. If your friend hasn't begged you yet, let me just do the begging on their behalf because it's hard to for them to ask....please help!!! I was recently moved by the love of an eleven year old who responded to our call to adopt by giving us his allowance after reading our blog-- in ten $1.00 bills. Faith is played out enormously on the financial front of adoption--faith in God and faith in the generosity of kind people. Show your love by choosing your words with CARE. This is the hard stuff to talk about, but it comes up so frequently I can't avoid touching on it, but will try to with care. Please refrain from judging because they chose domestic over international or vice versa. Please don't place judgement on their country of choice. When you hear someone has chosen to take the path less travelled, please understand that they are most likely doing it out of a sense of God's leading them. Please don't feel the need to share every terrible story you may have heard. In short, please only speak if the words flowing from you are out of friendship and love and they are intended to lift up and support the friend you are speaking to. Show your love when the family returns home. This is the part I have no experience with, so I had to discuss with other adoptive parents prior to writing. When the hoopla of the fundraising world and whirlwind of the grand arrival and "gotcha" days of the newest family member have passed, the community will likely view things as finally over--as a happy ending. For the family, it's less romantic. It is a new beginning. It is much like having a newborn--even when bringing home an older child, there is going to be a "brand new" phase. Everyone has to adjust. Children who are newly adopted, along with their parents and siblings, are going through a transition. Strive to understand that many things are new for most of these children, including the culture, language, daily routine, and people with whom they are surrounded. With older kids, there are often attachment issues to adjust to, requiring parents to set boundaries with friends, so the child can come to understand what it is to bond to a parent and learn what is safe behaviour and what is not--such as showing affection for strangers. Be a friend. Families still need friendships. Moms still need their girlfriends and Dads still need down-time, but care has to be taken for the safe development of that child's boundaries. So love the family by sticking with them, but respect rules set out for their child. They are not trying to offend others, they are trying to protect their child. Show love through acts of service during the process and afterward. During the travel phase of adoption, families need help with simple things such as house-sitting or pet-sitting, and perhaps someone to pick up their mail while they're travelling. For families with other children, helping with childcare arrangements during travel is crucial to the success of the adoption. They will need prayer, support, contacts at home. Offer yourself, it is needed. Families in the "new" baby/child transition no matter what age they bring home, can use help with things like housecleaning or help with meal plans for a couple of weeks. Offer to come play with the kids. Offer to take siblings on play-dates. Come hold their baby while they take a nap. Your friend will probably not ask you directly for help, but they will accept it when offered. They will be exhausted and these acts of kindness will remind them they are loved and that they aren't alone. Adoption is no small task no matter the method, the age, the expense, or the location of the adoption. It is a lifelong undertaking, as is the care of any child. I pray that those of you who have friends or family in the process will take on their cause as your own, that you will become a strong support for them. That you will be a shoulder to lean on, a friend to pray with. I pray that you will begin to see that extra spending cash in your back pocket as a ransom for the life of a child. I pray that you will donate time to rock your friend's baby, that you will offer them help at their moment of need. There is no end to the love you can give to your friend. Most of all, I hope you read this and look more into the reality of the need for adoptive parents. There are so many orphaned children and there are simply not enough people opening their homes.